Echo Park LOST IN NEVERLAND 6 x 6 Paper Pad lin179023 at Simon Says STAMP! lin179023 This item is on reserve until If you would like to reserve this item now, you may purchase it now with the rest of your order. We will hold your order now and ship your entire order as soon as this item is back into stock. If you would like your order to ship now, please place this item on a separate order. Success, Echo Park LOST IN NEVERLAND 6 x 6 Paper Pad lin179023 has been shared! Includes 2 each of 12 double-sided 6 x 6 inch designs in 65lb cardstock. 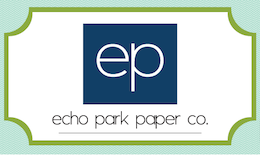 Formed in April of 2010, Echo Park Paper Co. offers a unique approach to style, form, and format. Their style diversely ranges from bright and playful imagery to muted sophistication, as well as, a clean, graphic approach. While every product release offers a distinct style, each of Echo Park's collections offers a simple sophistication that will satisfy both the novice and expert crafter alike. Scrapbooks, like silent films, tell stories through pictures and written words, to be cherished and passed down through generations. Echo Park's goal is to supply you with everything you need to create timeless masterpieces of your own.